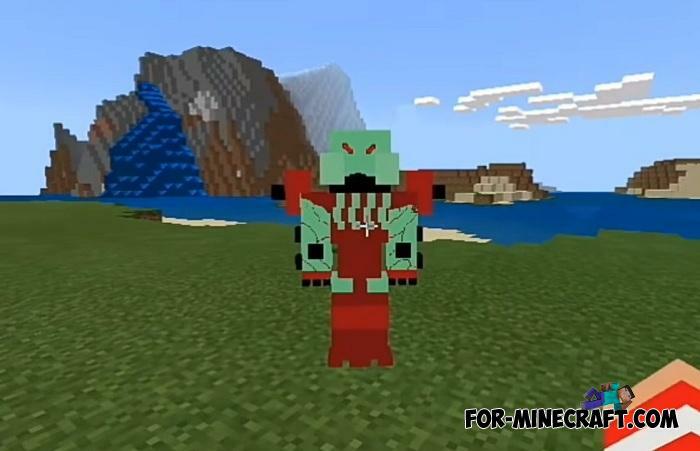 By installing this addon you will receive a small part of the Ben 10 content namely suits, weapons and new mobs. 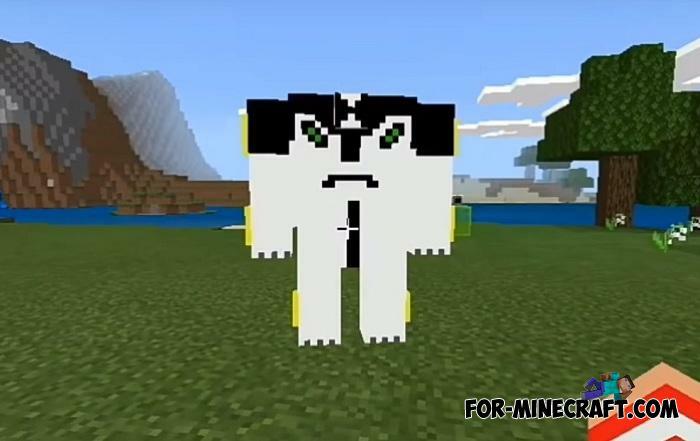 But before you should pay attention to a similar addition, or rather a modification named exactly the same - the Ben 10 Mod. 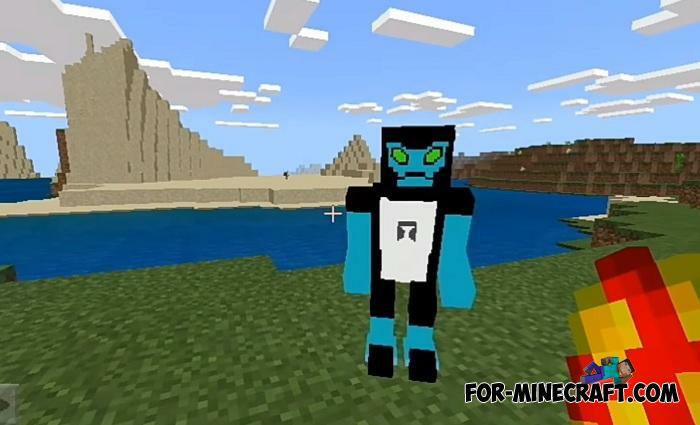 It has more features including the omnitrix, aliens, new technologies and much more, but it is compatible only with older versions of Minecraft PE (1.2-1.6). 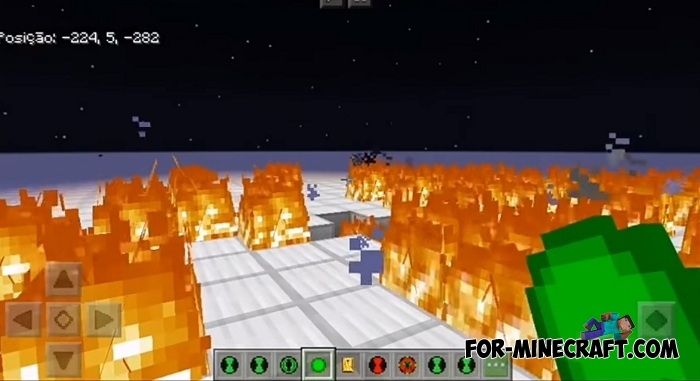 The addon is also compatible with the latest MCBE 1.11 betas and is designed primarily for fun. 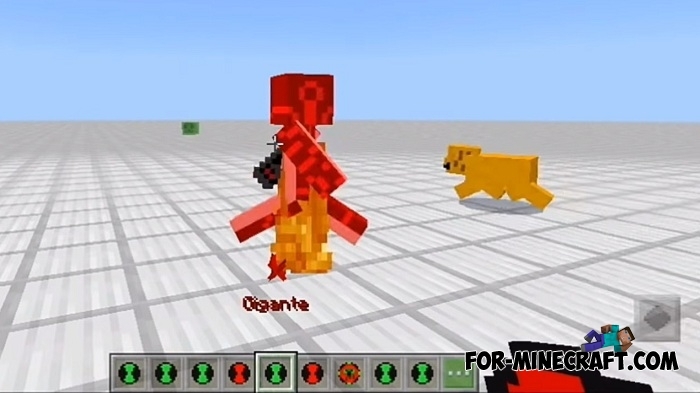 Ntek Games tried to add as many things and suits as possible to make the addon look like the modification. Wearing all parts of the costume you can turn into one of the aliens, and only so, unfortunately, using the omnitrix is impossible in the addon. 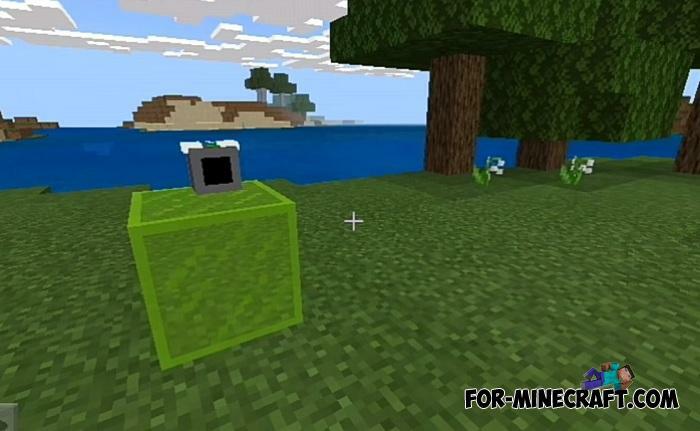 Also, throw new spawn eggs to fight or tame new mobs. 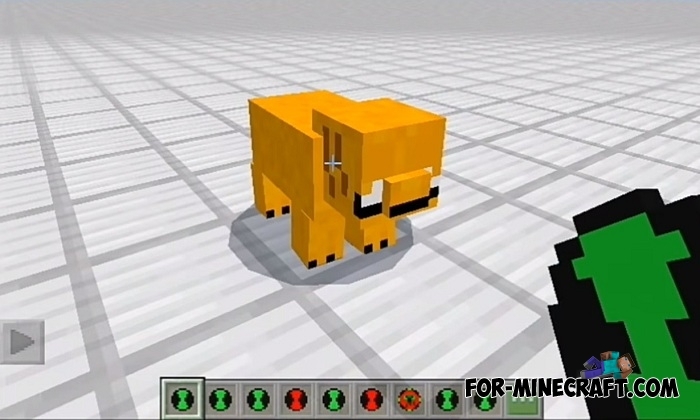 And the last feature is an updated stylized interface. 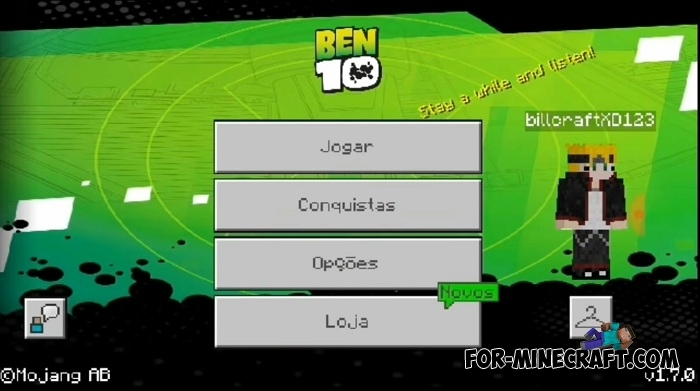 How to install the Ben 10 Addon?